It has become part of the script of the larger American mass shootings. Amid the public expressions of grief and disbelief, the utterances of prayers and the tributes to the dead, Australian-style gun laws become, for a time, part of the American national debate. The effectiveness of Australian-style gun laws has even crept into the diplomatic conversation. After she spoke with her American counterpart Rex Tillerson this week, Australia's Foreign Affairs Minister Julie Bishop observed that, "What we can offer is our experience. "Under John Howard, we implemented the national firearms agreement - this prohibited semi-automatic and automatic weapons. We had that national gun buy-back scheme," she said. Similarly, in Australia people took to social media to voice the relief and pride that, when confronted with a similar horror, our own leaders were able to overcome partisanship, navigate the complicated tangle of state and federal laws and regulations governing gun ownership in Australia, and introduce a package of reforms known collectively as the National Firearms Agreement, which research finds has saved thousands of lives over the past 20 years. But what is less well understood is that, buried inside the National Firearms Agreement signed by state governments days after the Port Arthur massacre in 1996, is a measure that is enriching and emboldening Australia's gun lobbyists, the very people who oppose the gun laws. In the words of Philip Alpers, an associate professor at the University of Sydney who has researched the gun laws of about 300 jurisdictions around the world, Australia's gun laws may seed their own destruction. To understand why, you need to understand how the laws work in the first place, says Alpers. When most people who remember the days after Port Arthur reflect, they recall the gun buyback, whereby the states paid gun owners for about a million newly banned weapons and destroyed them en masse. But Alpers says far more significant was that under the agreement the states and territories agreed to three basic principles: that all gun owners be licensed, that all guns be registered and that gun ownership be considered a conditional privilege rather than a right. Under the new regime anyone who wanted a licence needed to demonstrate a "genuine reason" for owning a gun. To landholders and primary producers, this was not hard. But many urban shooters demonstrated their "genuine reason" for gun ownership by joining an approved shooting club, as the agreement dictated. And this is a killer quirk, says Alpers. It has led to a flood of new members into gun clubs, and in particular into those affiliated with the Sporting Shooters' Association of Australia (SSAA). The result was a windfall of wealth and attendant political muscle for the Australian gun lobby, one that was created and enforced by the very laws designed to regulate Australian gun ownership after Port Arthur. Alpers' research on the amount of wealth delivered to SSAA is staggering. A report he drafted having secured documents from SSAA bodies around the country shows that between 1996 and 2015 the fee-paying membership of the SSAA grew from 50,000 to 180,000. Today that figure is about 186,000. In 2015 the seven top SSAA branches declared income of $20 million and net assets of $34 million, while the national branch alone collected $10 million in annual fees. This was, Alpers notes, more than double the assets of Swimming Australia, and nine-tenths the income of Athletics Australia. In its financial return that year, SSAA National in Adelaide reported an accumulated war chest of $6 million in cash. The largest SSAA state branches did even better. For 2015 the SSAA in Victoria reported $4.4 million in revenue and assets of $5 million. Adjusted for inflation, branch assets increased 559 per cent in value since the 1996 gun laws. SSAA in NSW reported income of $2.4 million with assets of $7.2 million (up 717 per cent), and SSAA Queensland collected income of $5 million and held assets of $15.7 million, of which $8.3 million was in cash. Adjusted for inflation, Queensland branch assets increased by 2675 per cent between the time compulsory gun club membership was written into legislation and 2015. The SSAA's national president Geoff Jones rejects the suggestion that his organisation has benefited from the 1996 gun laws. He says membership leapt after the National Firearms Agreement because the organisation started focusing better on its members' interests when the new laws were approved. Australia's million-odd legal shooters and firearms owners were sick of being typecast in the media and badgered by unreasonable regulation, he says. 'It was a joke to put the wind up Ted' Shooters, Fishers and Farmers Party MLC Robert Borsak. Photo: Jude Keogh The year before the gun laws were introduced and the money began to pile up, Australia's first dedicated Shooters party came into existence in NSW. It began almost as a joke. At a boozy lunch attended by former Sydney 2GB radio announcer John Tingle and then NSW police minister Ted Pickering, the former had a bone to pick over proposed new gun laws. "I said: 'Look, Ted, if you bring in these laws shooters will go political,' " Tingle recounted to the Herald on his retirement in 2005. "[Pickering] replied: 'No they won't, they're too disorganised, too inert, too lazy to get off their bums and do anything.'" Tingle said after the lunch he "went down and registered the name [The Shooters Party]" with a view to calling Pickering the next day to tell him: "See what you've done now". "By the end of the week we had 1000 members. I didn't really want to start a political party. It was a joke to put the wind up Ted, but it took off, and I got stuck with it." Tingle was elected to the NSW Legislative Council in 1995 as the party's first member in any Australian parliament. On his retirement a decade later he was replaced by then party official Robert Brown, who remains one of two NSW MLCs who continue to share the balance of power in the Legislative Council. The other is Robert Borsak, who entered the parliament in 2010. Borsak is a veteran campaigner for gun owners' rights, having battled state governments since the mid-1980s, and is recognised as a canny political operator. With the party up and running in NSW, the SSAA had allies with real political clout and over the years it has backed the Shooters with some of its new wealth. Before the NSW state election in March 2011 the Sporting Shooters Association of Australia's Sydney branch and the Hunter District Hunting Club each gave $100,000 to the party. In total, gun and hunting clubs handed the party about $370,000. Before the NSW 2015 election - at which $5700 caps were in place in for party donations - gun clubs still stumped up about $40,000. Before the 2013 federal election, clubs gave $150,000 to the national party, and the NSW and West Australian parties donated $170,000. The 2016 federal election campaign was bankrolled with $47,000 from clubs and $54,000 from the NSW branch. Borsak says the SSAA hasn't donated to the NSW party since 2014 following a falling out between personnel. One observer who was close to Tingle says the NSW party became the national clearing house for the SSAA funding to state Shooters parties because its leaders were considered to be the most politically astute. Nonetheless the party is enjoying success in the other states. It has one MP in Western Australia and two crucial upper house seats in Victoria. There, the former senator Ricky Muir has signed on and is expected to run in next year's state election. In November last year the Shooters stole the NSW seat of Orange from the National Party to secure its first lower house seat, which it holds along with its two upper house seats. It is considered to be competitive in two coming byelections in the NSW state seats of Cootamundra and Murray on October 14. The Nationals are particularly concerned about their chances in Murray, the seat vacated by former education minister Adrian Piccoli. The Shooters, Fishers and Farmers candidate (it added "farmers" to the title last year), farmer Helen Dalton, is a disaffected former Nationals member. In an example of how the party is seeking to broaden its appeal, Dalton told Fairfax Media this week that she has little knowledge of the party's key policy to repeal the National Firearms Agreement. Dalton's focus is water rights and the provision of local infrastructure. "I don't like shooting much," she admits. Helen Dalton, candidate for the Shooters, Fishers and Farmers in the byelection for the seat of Murray. Photo: Jacinta Dickins The SSAA's Geoff Jones does like to shoot, but he denies his organisation has any desire to overturn the 1996 gun laws. Rather, he says, it wants to help improve them. Jones believes they could be improved by scrapping the measure that has licensed gun owners go through a 28-day cooling-off period when they seek to purchase new guns after their third. By then, he says, gun owners have already been so thoroughly vetted by authorities that they have demonstrated their suitability for ownership. In an interview this week he told Fairfax Media the money the government was spending regulating the access to guns by responsible, licensed owners could be better spent on policing and pursuing criminals. He also believes that some restrictions on high-calibre hand guns and repeating rifles are too onerous and have held back legitimate shooting sports. But it is not hard to find SSAA literature and advocacy suggesting the organisation and its members do want the gun laws scrapped. To start with, the SSAA boasts of its ties with the militantly anti-regulation National Rifle Association. The SSAA issued a press release in August noting that the NRA's fearsome lobbying arm - the NRA Institute for Legislative Action - had published an approving article about the SSAA's lobbying efforts against the most recent Australian gun amnesty. (It's also worth noting that the SSAA models its own lobbying arm on the NRA-ILA, calling it the SSA-LA.) Another, from earlier the same month, celebrates the "years of mateship" between the two groups, pointing out that the NRA was arguably the most "influential lobby group on earth". "Back home, the SSAA will continue to work with our international counterparts as we strive to promote and protect our chosen recreation," says the press release. "With our close ties and shared knowledge, our long and proud culture of the shooting sports and hunting will go on well into the future." 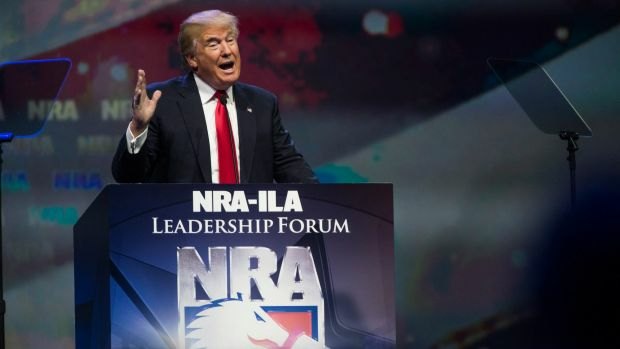 Donald Trump speaks at the National Rifle Association convention in 2016. Photo: New York Times Advocacy against the 1996 gun laws puts shooters associations and parties considerably out of step with Australian popular opinion. In November last year a survey by Essential Research found 89 per cent of Australians thought our gun laws were either "about right" or "not strong enough" while just 6 per cent thought they were "too strong". But this is not to say that pro-gun groups have not enjoyed some success. Four consecutive studies of the 1996 gun laws have concluded that under pressure from gun advocates none of the states and territories has ever fully implemented or enforced all of its laws. Unlike the Sporting Shooters Association Australia president, Borsak is blunt about his views of Australia's gun laws. He wants to see them scrapped. Borsak believes the aim of the National Firearms Agreement is to "remove the private ownership of firearms. All of them, period, full stop, end of discussion". "I'm going to continue campaigning within the political space to try to get the politics of rational thought and discussion going in the area of firearms," he says. "There has never been a fair and rational discussion in this country as to what our gun laws should be." Borsak laments that there is no national gun lobby like the NRA in Australia, pointing out that the SSAA is not centrally managed or controlled, with independent, state-based branches. He also believes the National Party has failed to determinedly stick up for shooters or even many of its rural constituents. That is why, he says, the Shooters, Fishers and Farmers are picking up seats around the country. "Our aim and our target is a longer-term game. That is, we want to be the party of choice for right-wing voters." It has become part of the script of the larger American mass shootings. Amid the public expressions of grief and disbelief, the utterances of prayers and the tributes to the dead, Australian-style gun laws become, for a time, part of the American national debate. The effectiveness of Australian-style gun laws has even crept into the diplomatic conversation. After she spoke with her American counterpart Rex Tillerson this week, Australia's Foreign Affairs Minister Julie Bishop observed that, "What we can offer is our experience. "Under John Howard, we implemented the national firearms agreement - this prohibited semi-automatic and automatic weapons. We had that national gun buy-back scheme," she said. Similarly, in Australia people took to social media to voice the relief and pride that, when confronted with a similar horror, our own leaders were able to overcome partisanship, navigate the complicated tangle of state and federal laws and regulations governing gun ownership in Australia, and introduce a package of reforms known collectively as the National Firearms Agreement, which research finds has saved thousands of lives over the past 20 years. But what is less well understood is that, buried inside the National Firearms Agreement signed by state governments days after the Port Arthur massacre in 1996, is a measure that is enriching and emboldening Australia's gun lobbyists, the very people who oppose the gun laws. In the words of Philip Alpers, an associate professor at the University of Sydney who has researched the gun laws of about 300 jurisdictions around the world, Australia's gun laws may seed their own destruction. To understand why, you need to understand how the laws work in the first place, says Alpers. When most people who remember the days after Port Arthur reflect, they recall the gun buyback, whereby the states paid gun owners for about a million newly banned weapons and destroyed them en masse. But Alpers says far more significant was that under the agreement the states and territories agreed to three basic principles: that all gun owners be licensed, that all guns be registered and that gun ownership be considered a conditional privilege rather than a right. Under the new regime anyone who wanted a licence needed to demonstrate a "genuine reason" for owning a gun. To landholders and primary producers, this was not hard. But many urban shooters demonstrated their "genuine reason" for gun ownership by joining an approved shooting club, as the agreement dictated. And this is a killer quirk, says Alpers. It has led to a flood of new members into gun clubs, and in particular into those affiliated with the Sporting Shooters' Association of Australia (SSAA). The result was a windfall of wealth and attendant political muscle for the Australian gun lobby, one that was created and enforced by the very laws designed to regulate Australian gun ownership after Port Arthur. Alpers' research on the amount of wealth delivered to SSAA is staggering. A report he drafted having secured documents from SSAA bodies around the country shows that between 1996 and 2015 the fee-paying membership of the SSAA grew from 50,000 to 180,000. Today that figure is about 186,000. In 2015 the seven top SSAA branches declared income of $20 million and net assets of $34 million, while the national branch alone collected $10 million in annual fees. This was, Alpers notes, more than double the assets of Swimming Australia, and nine-tenths the income of Athletics Australia. In its financial return that year, SSAA National in Adelaide reported an accumulated war chest of $6 million in cash. The largest SSAA state branches did even better. For 2015 the SSAA in Victoria reported $4.4 million in revenue and assets of $5 million. Adjusted for inflation, branch assets increased 559 per cent in value since the 1996 gun laws. SSAA in NSW reported income of $2.4 million with assets of $7.2 million (up 717 per cent), and SSAA Queensland collected income of $5 million and held assets of $15.7 million, of which $8.3 million was in cash. Adjusted for inflation, Queensland branch assets increased by 2675 per cent between the time compulsory gun club membership was written into legislation and 2015. The SSAA's national president Geoff Jones rejects the suggestion that his organisation has benefited from the 1996 gun laws. He says membership leapt after the National Firearms Agreement because the organisation started focusing better on its members' interests when the new laws were approved. Australia's million-odd legal shooters and firearms owners were sick of being typecast in the media and badgered by unreasonable regulation, he says. The year before the gun laws were introduced and the money began to pile up, Australia's first dedicated Shooters party came into existence in NSW. It began almost as a joke. At a boozy lunch attended by former Sydney 2GB radio announcer John Tingle and then NSW police minister Ted Pickering, the former had a bone to pick over proposed new gun laws. "I said: 'Look, Ted, if you bring in these laws shooters will go political,' " Tingle recounted to the Herald on his retirement in 2005. "[Pickering] replied: 'No they won't, they're too disorganised, too inert, too lazy to get off their bums and do anything.'" Tingle said after the lunch he "went down and registered the name [The Shooters Party]" with a view to calling Pickering the next day to tell him: "See what you've done now". "By the end of the week we had 1000 members. I didn't really want to start a political party. It was a joke to put the wind up Ted, but it took off, and I got stuck with it." Tingle was elected to the NSW Legislative Council in 1995 as the party's first member in any Australian parliament. On his retirement a decade later he was replaced by then party official Robert Brown, who remains one of two NSW MLCs who continue to share the balance of power in the Legislative Council. The other is Robert Borsak, who entered the parliament in 2010. Borsak is a veteran campaigner for gun owners' rights, having battled state governments since the mid-1980s, and is recognised as a canny political operator. With the party up and running in NSW, the SSAA had allies with real political clout and over the years it has backed the Shooters with some of its new wealth. Before the NSW state election in March 2011 the Sporting Shooters Association of Australia's Sydney branch and the Hunter District Hunting Club each gave $100,000 to the party. In total, gun and hunting clubs handed the party about $370,000. Before the NSW 2015 election - at which $5700 caps were in place in for party donations - gun clubs still stumped up about $40,000. Before the 2013 federal election, clubs gave $150,000 to the national party, and the NSW and West Australian parties donated $170,000. The 2016 federal election campaign was bankrolled with $47,000 from clubs and $54,000 from the NSW branch. Borsak says the SSAA hasn't donated to the NSW party since 2014 following a falling out between personnel. One observer who was close to Tingle says the NSW party became the national clearing house for the SSAA funding to state Shooters parties because its leaders were considered to be the most politically astute. Nonetheless the party is enjoying success in the other states. It has one MP in Western Australia and two crucial upper house seats in Victoria. There, the former senator Ricky Muir has signed on and is expected to run in next year's state election. 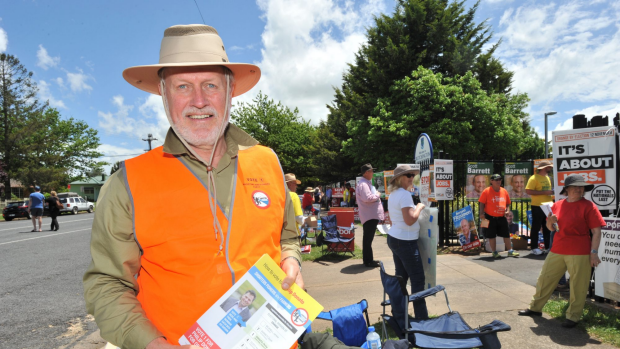 In November last year the Shooters stole the NSW seat of Orange from the National Party to secure its first lower house seat, which it holds along with its two upper house seats. It is considered to be competitive in two coming byelections in the NSW state seats of Cootamundra and Murray on October 14. The Nationals are particularly concerned about their chances in Murray, the seat vacated by former education minister Adrian Piccoli. 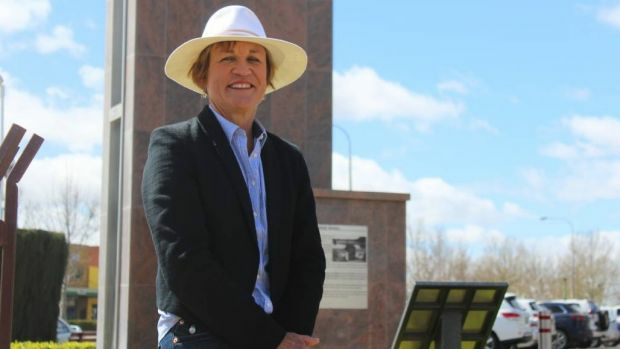 The Shooters, Fishers and Farmers candidate (it added "farmers" to the title last year), farmer Helen Dalton, is a disaffected former Nationals member. In an example of how the party is seeking to broaden its appeal, Dalton told Fairfax Media this week that she has little knowledge of the party's key policy to repeal the National Firearms Agreement. Dalton's focus is water rights and the provision of local infrastructure. "I don't like shooting much," she admits. The SSAA's Geoff Jones does like to shoot, but he denies his organisation has any desire to overturn the 1996 gun laws. Rather, he says, it wants to help improve them. Jones believes they could be improved by scrapping the measure that has licensed gun owners go through a 28-day cooling-off period when they seek to purchase new guns after their third. By then, he says, gun owners have already been so thoroughly vetted by authorities that they have demonstrated their suitability for ownership. In an interview this week he told Fairfax Media the money the government was spending regulating the access to guns by responsible, licensed owners could be better spent on policing and pursuing criminals. He also believes that some restrictions on high-calibre hand guns and repeating rifles are too onerous and have held back legitimate shooting sports. But it is not hard to find SSAA literature and advocacy suggesting the organisation and its members do want the gun laws scrapped. Another, from earlier the same month, celebrates the "years of mateship" between the two groups, pointing out that the NRA was arguably the most "influential lobby group on earth". "Back home, the SSAA will continue to work with our international counterparts as we strive to promote and protect our chosen recreation," says the press release. "With our close ties and shared knowledge, our long and proud culture of the shooting sports and hunting will go on well into the future." Advocacy against the 1996 gun laws puts shooters associations and parties considerably out of step with Australian popular opinion. In November last year a survey by Essential Research found 89 per cent of Australians thought our gun laws were either "about right" or "not strong enough" while just 6 per cent thought they were "too strong". But this is not to say that pro-gun groups have not enjoyed some success. Four consecutive studies of the 1996 gun laws have concluded that under pressure from gun advocates none of the states and territories has ever fully implemented or enforced all of its laws. Unlike the Sporting Shooters Association Australia president, Borsak is blunt about his views of Australia's gun laws. He wants to see them scrapped. Borsak believes the aim of the National Firearms Agreement is to "remove the private ownership of firearms. All of them, period, full stop, end of discussion". "I'm going to continue campaigning within the political space to try to get the politics of rational thought and discussion going in the area of firearms," he says. "There has never been a fair and rational discussion in this country as to what our gun laws should be." Borsak laments that there is no national gun lobby like the NRA in Australia, pointing out that the SSAA is not centrally managed or controlled, with independent, state-based branches. He also believes the National Party has failed to determinedly stick up for shooters or even many of its rural constituents. That is why, he says, the Shooters, Fishers and Farmers are picking up seats around the country. "Our aim and our target is a longer-term game. That is, we want to be the party of choice for right-wing voters."